Anil K Dubey, PhD HCLD, consults as an Embryologist and Scientific Laboratory Director for IVF laboratories. He is a certified High-Complexity Clinical Laboratory Director (HCLD), by the American Association of Bioanalysts, which is a requirement for the position of IVF lab director. He is also a board certified as a Reproductive Embryologist (EMB) by the American College of Embryology. He has worked in the field of medical assisted reproduction and IVF for over 24 years. Previously, Dr. Dubey was the Professor of Obstetrics and Gynecology and Director of the IVF Lab in the Division of Reproductive Endocrinology, Fertility and IVF at the George Washington University, School of Medicine and Health Sciences in Washington, DC. Before joining George Washington University, Dr. Dubey was the Associate Professor and Director of the IVF Lab at the New England Medical Center, Tufts University in Boston, USA. Dr. Dubey has trained many embryologists at national and international level while establishing and supporting several IVF laboratories. He serves as a CAP lab inspector in the United States. Currently Dr. Dubey is on the editorial board of Journal of Assisted Reproduction and Genetics. For five years, he was also a member of the Advisory board for Journal of Fertility and Sterility and served on various committees at the George Washington University. Dr. Dubey has been greatly instrumental since the inception and development of the Jaipur Fertility center, Mahatma Gandhi Medical College and Hospital and the Mahatma Gandhi Medical and Technology University in Jaipur, India. 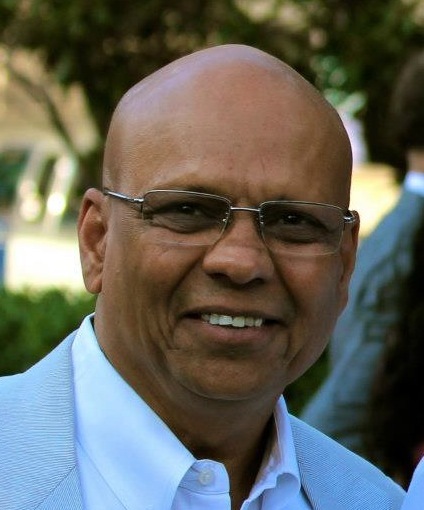 Dr. Dubey serves as a member of Board of Management at Mahatma Gandhi University. Dr. Dubey enjoys an excellent reputation in IVF at the national and international level, authoring numerous scientific publications in ART. Recently, Dr. Dubey authored a book, Infertility: Diagnosis, Management and IVF featuring contributions from prominent researchers and clinicians in IVF and Reproductive Endocrinology. Dr. Dubey has presented research work at national and international scientific meetings. His areas of interest in research include causes of failed fertilization in IVF cycle outcomes and pre-implantation genetics diagnosis. He is a member of the American Society of Reproductive Medicine, American Board of Bioanalysis and American College of Embryology. Dr. Dubey recognizes the enormous privilege of working with human embryos in the IVF lab and is dedicated to producing positive outcomes and giving the gift of life to his patients.